We had another wonderful stay in a VRBO or Homeaway location -- This condo was perfect for 4 of us -- very clean, and FILLED with cooking pots and pans - which we didn't really use, because we came to SKI! and the skiing was AWESOME! 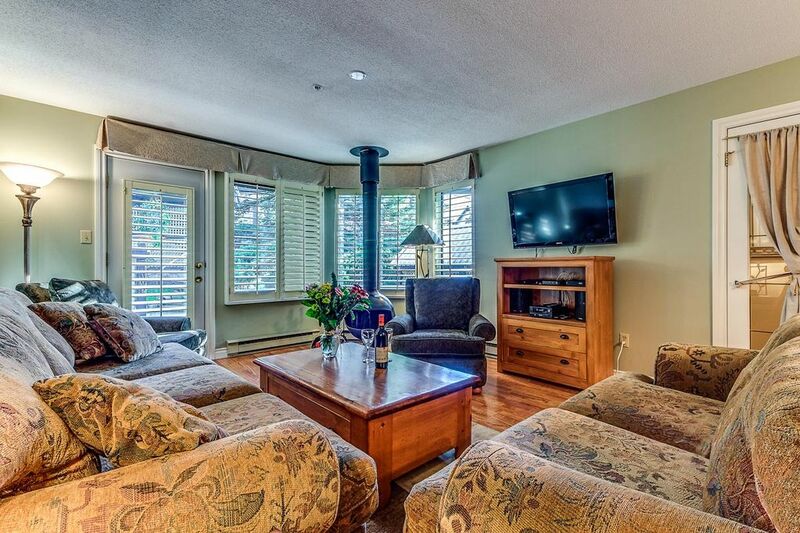 Location of this condo is wonderful, within a 10 minute easy walk to lifts, or take the free shuttle every 15 minutes, catch it right across the street! Will stay again when we come back to Whistler! Nicolas F.Repulse Bay, Southern KH Isl. A deposit equal to 25% of the rental rate is required upon booking. The deposit will be applied toward the room rent. Please make payments in the form of Visa, MasterCard, American Express, traveler's checks, money orders, cashiers checks or Wire Transfers payable to Acer Vacation Rentals Ltd. The initial deposit is not part of the damage deposit. The balance of rent is due 45 days prior to your arrival date. CANCELLATIONS Summer cancellations Summer Vacation Occupancy Dates is May 1-Oct 31. Summer reservations can cancel up to 48 hours with a 15% administration fee. Within 48hrs deposits are non-refundable. Winter cancellations Winter Vacation Occupancy Dates Nov 1-April 30: Deposits are NOT REFUNDABLE once received. On some rare occasions we are able to re-rent the property, in which case we will refund up to 75% of the Total Rent Due. Special lift ticket orders must be paid in advance and are non-refundable.